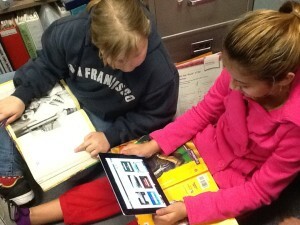 Special Education: Finding Technologies to Help Deliver Lessons | Teacher Geek is Chic! Though I am a general education teacher, I am proud to have had students from our SDC classes mainstream into my classroom every year. And each student – whether general ed or SDC – needs to have instruction delivered in the most accessible way possible. Many times, using technology to deliver the lesson is the answer. First, check out this short article from the University of North Carolina School of Education. It’s one in a series of articles focuses on Special Education. UNC School of Education: How Do Special Education Students Benefit from Technology? Then check out this list of great resources to help you start looking for the perfect Special Education apps. I tried to use a variety of resources to show that you can find inspiration almost anywhere!